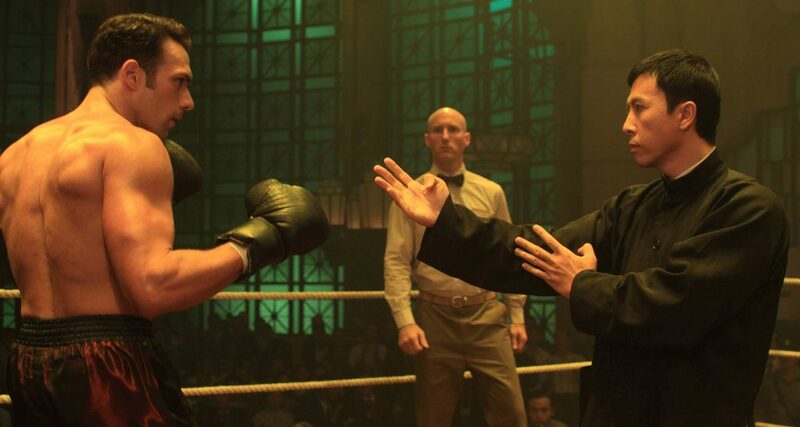 Ip Man 2 is the highly anticipated sequel to the fabulous first film starring Donnie Yen. 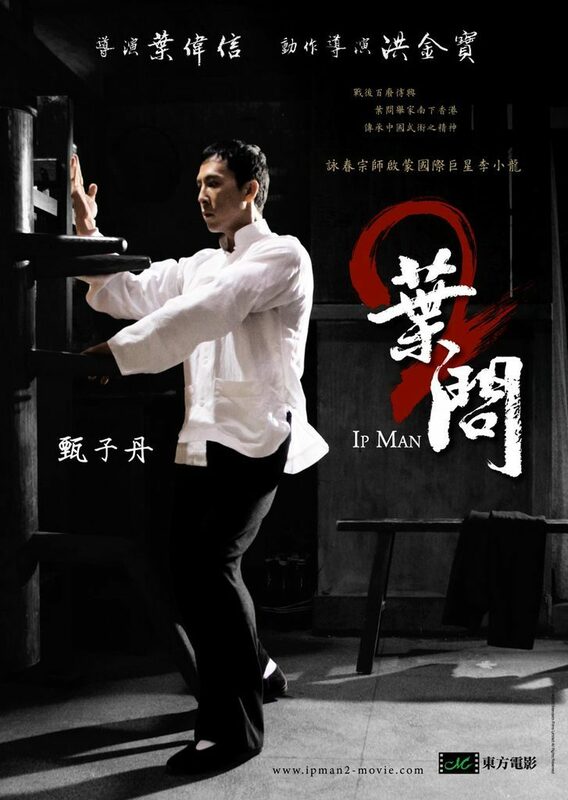 This film is a direct follow on from the last with Ip Man in Hong Kong and struggling to survive and having no luck attracting students to his kung fu school. 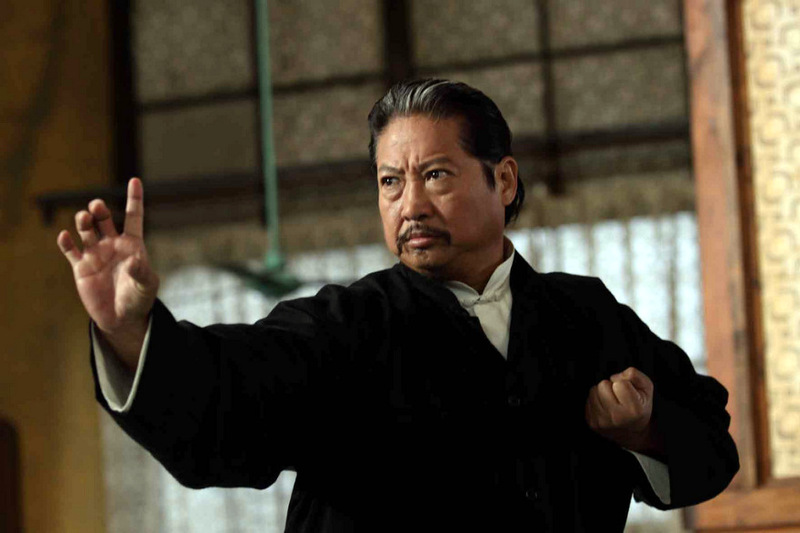 When he starts to get pupils it upsets the Kung fu schools in the area especially the Hung Gar clan led by Sammo Hung. Following many run-ins with these masters and being allowed to leave his school open a new threat emerges in the form of a western boxing champion who is determined to ridicule and put down Chinese martial arts with tragic consequences. Is it as good as the first film?…No it isn’t? Is it a good film?. Of course. The first half is by far the best with the story continuing nicely and some great fight action. The 2nd half is like a different film and the online comparisons by some fans to Rocky 4 are justified. Its as if the director ran out of ideas halfway through and saw the Rocky film and stole the story. And why do western actors in these films all have to be such muppets?? Aren’t there any decent Western actors in Hong Kong?…Apart from Darren Shahlavi the supporting non Chinese cast are awful. The anti-western (British) tone I found a bit boring and cliche which wasn’t helped by the stilted English dialogue. The Bruce Lee bit at the end was a nice touch, but I think they should end it there as the 2nd half of the film was most likely made up anyway,plus where else can they go with the story? I might sound a bit harsh, but its still a very good film and worth a watch, Donnie Yen and Sammo excellent as expected, good to see Lo Mang and Fong Hak On again, but Fang Siu Wong’s role was wasted, he doesn’t fight at all. If they do do a third instalment lets hope the script is better worked out and it doesn’t go into fantasy territory too much. Jay Chou is rumoured to be in line for the Bruce Lee role, we shall see with interest what the outcome may be.